Should the seller be present? It is simple. A seller still owns the house until the closing and has the right to remain in the home when the buyers show up for their home inspection. While that may be the law, my advice to sellers when they ask to stay is the same. It can only hurt you. If you are there, they will and do ask questions. Not knowing the perfect answer can ruin a deal, or cost you a ton of money. On the flip side, there is nothing good that can happen if you are there. There is no upside to your being home. A buyer wants to find out more details about the home they are purchasing. They need to know the good, the bad and even the ugly about a purchase. This is their time to hire an inspector and see the house from the eyes of an inspector and critic. A good inspector goes over all these details and explains to a home owner what needs to be fixed now or cause major problems later. All the inner workings of the home are discussed so that the new owner will have a better understanding of what to expect in the future. 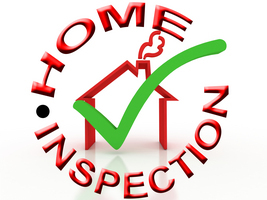 It is the job of the inspector to report what he sees and not to have to turn to the owner for all the details. When a homeowner stays around, the buyers are generally uncomfortable and feel that they can’t ask the questions they want of the inspector. Owners sometimes have the need to clarify any problems that come up and are of concern. Inspectors are feeling pressure to please both parties, but his responsibility is to the buyer and not the seller. This is not the time to be volunteering information. How the questions are answered could be a problem. If something is not right, a buyer may ask a homeowner right then if he will fix it. This is not the time for the negotiations. Sellers should expect that a list of repairs is likely to be presented after an inspection. It is not a time to renegotiate the price, but a time to deal with major safety issues. 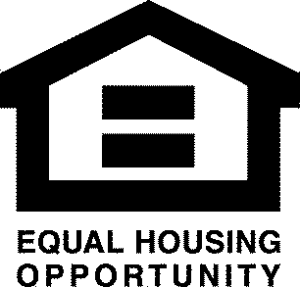 At this time if the buyers have requests they usually provide a copy of the report to the sellers. This way there is documentation of what is wrong and any recommendations. The reports are now quite extensive and with photos. This helps to explain the problems so the owners can either repair reject or discuss alternative solutions to the specific issues at hand. Basically, if as a seller you are not home, you still are able to question a problem for a more clear understanding when you have discussed them with your agent. Agents for both parties are able to facilitate any further clarification and negotiations of repairs after the report is finished. Professionals have a better understanding of the process and can help their clients to an agreeable solution and move forward to getting contracts signed.